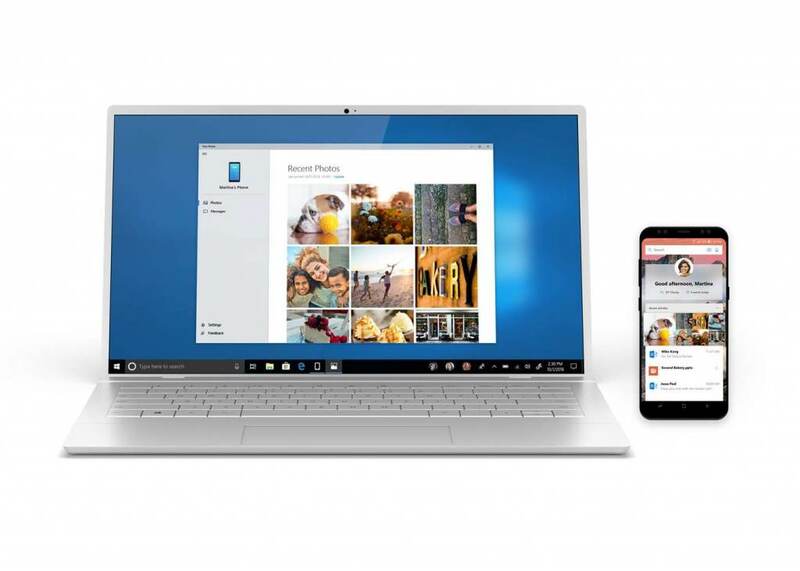 Microsoft has released Your Phone app to all Windows 10 users, which allows iOS and Android users to sync content from their smartphones to Windows 10 PC. About a month ago, Your Phone app was released for only Windows Insiders with Windows 10 RS5 (Redstone 5) preview builds, but with the general availability of the app, Your Phone app is now working on all Windows 10 versions with latest update and with access to Microsoft Store. The main function of Your Phone app is to mirror phone content to a Windows 10 PC. However, currently Your Phone only supports Android devices and the only feature currently supported is the ability to drag and drop photos to copy from the mobile device to Windows 10 desktop for instant access, and edit or ink on that photo right from Windows 10 PC. On Apple iOS devices such as iPhone and iPad, Your Phone currently can do even less. iOS users can only share and send the web page on mobile browser (mainly Edge) to Windows 10 computer to pick up where your left off to continue what you’re doing. And currently, with a linked phone, continuing a web page on the PC is one share away. Microsoft plans to add support for SMS text messages and notifications sync from Android and possibly iOS phones to mirror to a PC in the future, though the ETA of such features is unclear. Download Your Phone app from Microsoft Store. Microsoft has clarified that Your Phone is not for public consumption yet. So you won’t be able to search for Your Phone app from Microsoft Store unless you’re a Windows Insider running Windows 10 RS5 build, though you can continue to install the Your Phone app through direct link to the Store above. To use Your Phone, you need to link the Android phone or iOS phone to Windows 10 PC in Windows Settings or through Your Phone app. After entering your mobile phone number, you will receive an app from Microsoft (for Android it’s Microsoft Apps) which you must download to your mobile phone and follow the setup prompts to login. For iOS, if you just want to use the “Continue on PC” feature, you can do so without Your Phone app. Just link the phone on Windows Settings and sign in to Microsoft Edge browser. Your Phone for Android requires Android 7.0+ while iOS requires iOS 9.0+.